I have been blessed to be able to make my living by utilizing open source software and community. I remember during my freshmen days in college, I was introduced to Unix shell by my professor, and from there on, my interests in how operating system works peaked- especially Linux. I was involved in several open source projects such as FoxServ, Fedora, and BlueLinux by contributing community engagement and documentations, and went on to other development projects such as Post-Nuke CMS. Since 2005, I have been focusing on publishing and datacenter operation of my company in Japan – both, are powered by open source technology. 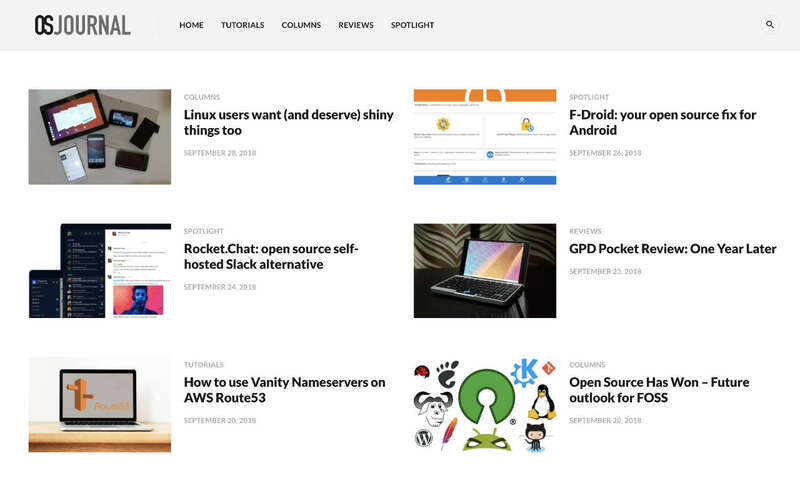 Today, we launched a site dedicated to Open Source and FOSS advocacy called OSJournal – a site where we would share/publish sysadmin guide, analysis of the industry, and spotlight of open source projects. If you would like to contribute, feel free to contact me.